On Friday 21st November, 2009. Yoshitaka Karate Club hosted a special Kumite (sparing) course with Sensei Derek Stockham and Sensei Matt Stockham from Brecon Shotokan Karate Club. Over 45 members of Yoshitaka turned out for this very special course. After the rigorous warm up stretches (where Sensei Matt Stockham demonstrated some amazing levels of flexibility) Sensei Derek Stockham continued with gyaku tsuki, and built up this attack with various pieces of footwork. We then did kizami, and later added half step gyaku. We then partned up working at various distances attackers doing kizami, gyaku, defenders working on moving out and nami ashi. After working on speed and spirit, Sensei added in a more complex combination which included maewashi geri jodan (high roundhouse kick). 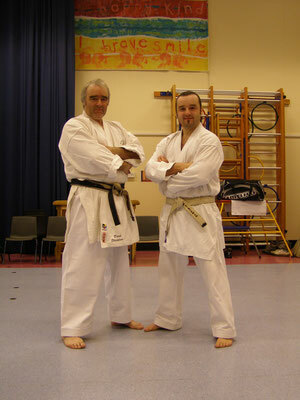 Sensei Matt Stockham then took over, working on distance and disruption. 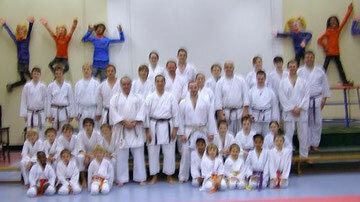 The first exercise was distruption of the opponents front hand, and then making up distance with a gyaku. We then added an ashi barai and ground attacks. The course was an invaluble insight in how the most successful KUGB kumite club in Wales trains (At this years Shotokan Welsh Championships the top 4 Women's kumite medals were held by Brecon, 1st Girls Kumite & Kata, 3rd Junior Male Kumite, 4th Male Kumite and 3rd Male Kata, 3rd Team Kumite, plus most sucessful Male and Female Trophy)! And there is alot to practice and think about in future training. 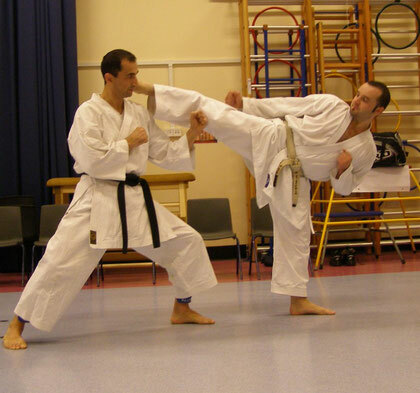 Brecon Shotokan Karate Club trains at Ysgol y Bannau School, Brecon, Powys, Mondays & Wednesdays 6-7pm Juniors, 7-8.30pm Seniors.